For many children of the sixties a 'journey to the East' was a mandatory rite of passage. As a result one of the lasting impacts of the counterculture was the assimilation into Western culture of esoteric religions. The embrace of Vedanta and Zen Buddhism is well-documented, as is the music that it produced ranging from the Beatles' Indian period to John Cage's 4' 33". Less celebrated is the counterculture's engagement with the esoteric strand of Islam known as Sufism, an involvement that also produced important but overlooked music. Given the current preoccupation with Islam it is puzzling that more attention has not been paid to the green shoots of Sufism - a tradition with a benign history - that appeared in the West in the late 1960s. Earlier this year the film Blessed are the Strangers directed by young director Ahmed Peerbux premiered. But this film is selective in its coverage of 1960s Sufism, so this post attempts to fill in some conspicuous and important gaps in the story. In his Diwan - collected writings - Sidi Muhammad Ibn Al-Habib counsels "Then let your thoughts range free before the mountains, and you will find them, without doubt, to be the pegs of the earth". Ibn Al-Habib was a Moroccan Skeikh of the Darqawa Sufi order who lived from 1876 to 1972. His exhortation to open-mindedness within a rigorous spiritual framework attracted a select group from the 1960s counterculture who travelled to the the Sheikh's tariqa in Meknes. Esoteric religions in their counterculture guise spawned controversial leaders such as Transcendental Meditation guru Maharishi Mahesh Yogi and the reincarnated Tibetan Buddhist master Chögyam Trungpa. Sufism was no exception to this, with Scottish born Ian Dallas playing a leading and controversial role in the transplanting of Sufism into the West. Hazrat Inayat Khan (1882-1927) had introduced the West to Sufism many years previously. But his strand of Sufism drew on the perennialist belief in the unity of the great faiths and played down the tradition's Islamic roots, while the idiosyncratic version of Sufism advocated by Idries Shah (1924-96) has even less to do with Islam. By contrast, the Darqawi zawiya [Sufi lodge] which Abdalqadir as-Sufi established first in London and then Norfolk strictly observed the prescriptions and proscriptions of Islam and had political as well as spiritual ambitions. In his book Western Sufism the authority on Sufism Mark Sedgwick explains that the Darqawi "Developed both a political program that in theory promoted jihad,and an organisation to prepare for jihad, called the Murabitun. In practice, however, the Murabitun ended up promoting not violence, but classical Islamic scholarship". Ian Dallas' spiritual guide was Sidi Muhammad Ibn Al-Habib, and in 1967 Dallas converted to Islam and took the name Abdalqadir as-Sufi. Five years later he established a Darqawi community in London modelled on a traditional Moroccan zawiya in the Bristol Gardens area of Little Venice. Before his conversion Dallas worked for the BBC, and he acted in Fellini's 8½ and a 1963 BBC TV play that featured a then unknown Bob Dylan - a possibly apocryphal story credits Dallas with giving Dylan his first volume of Rimbaud's poetry. The zawiya attracted members from London's thriving creative community including Fairport Convention co-founder Richard Thompson, the American Beat poet Daniel Moore, rock photographer Peter Sanders - famed for his work with Hendrix, Dylan and the Rolling Stones - and three members of the psychedelic rock band Mighty Baby, including their multi-instrumentalist Ian Whiteman. 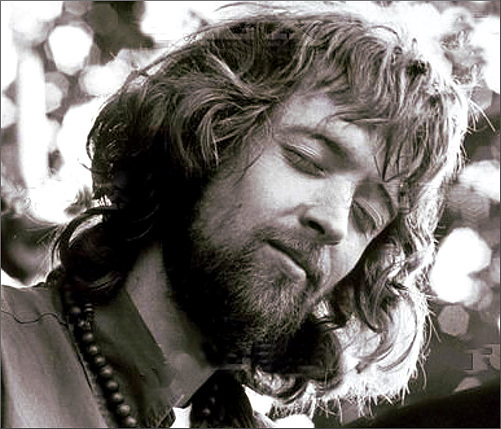 Eric Clapton was not a member of the zawiya, but he moved on the fringes and a translation of Nizami's romantic tale Layla and Majnun given to him by Ian Dallas inspired Clapton's hit Layla. In the photo below taken outside the Bristol Gardens zawiya Richard Thompson is in the back row fifth from right and Ian Whiteman is also in the back row wearing a black turban. Mighty Baby - seen below - was a reincarnation of the Mod band The Action. Ian Whiteman, Mike Evans (guitar), Roger Powell (drums) and Martin Stone (guitar) from Mighty Baby all joined the London Darqawi zawiya. Martin Stone soon left, but the other three musicians stayed and Sufism soon changing their lives and music. Mighty Baby only had a short creative life, but the reputation of the band's second and Sufism-saturated album Jug of Love cut in 1971 has, like a fine wine, matured over the years. In 2006 a Rolling Stone reviewer described it as "a trance like blend of the Meddle-era Floyd, the Byrds circa Ballad of Easy Rider and how, I suspect, the Grateful Dead sounded in early rehearsals for American Beauty". 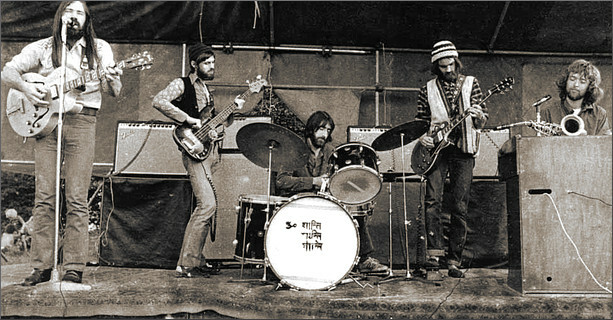 Mighty Baby broke up in 1971 and with Ian Whiteman at the helm the three Sufi adepts in the band joined with two itinerant West Coast musicians a year later to form The Habibiyya - followers of Sidi Muhammad Ibn Al-Habib - and cut the one-off album If Man But Knew. Despite achieving little initial success If Man But Knew has achieved legendary status with copies of the now-deleted 2007 Sunbeam Records CD transfer changing hands for inflated sums. Ian Whiteman was a trained architect and as Abdallateef Whiteman his personal journey took him onwards to a successful career in the Muslim world as a graphic designer, relocation to Andalusia, and participation in recent recordings of Islamic sacred music, including the Rawdat al-Shuhuda’ which featured here recently. It is quite a journey and one that I wanted to share with readers. So I was delighted when Ian agreed to the following interview for On An Overgrown Path. Below is a previously unpublished period photo by fellow Darqawi zawiya member Peter Sanders. Bob Shingleton: Ian, many thanks for agreeing to share your fascinating musical and spiritual experiences with us. Let's start with The Action - can you tell us how a fashionable Mod group morphed into the band that cut Jug of Love, an album that has achieved iconic status as a rare counterculture celebration of Sufism? Ian Whiteman: No one had a plan. We just played what we wanted to play. 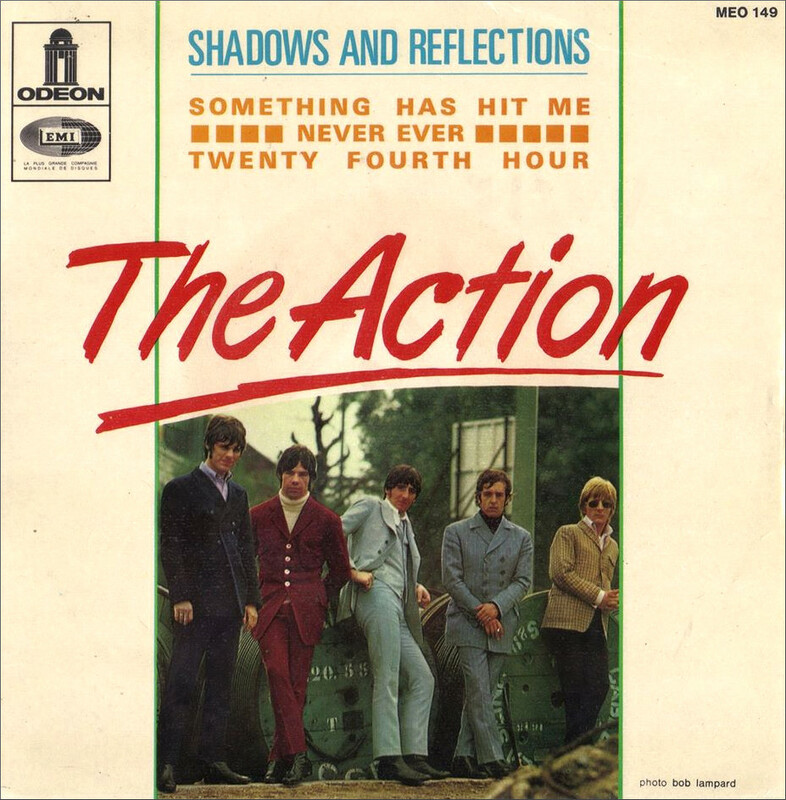 Initially I fitted into The Action well, as we had a shared love of Motown and the keyboard meant we could play much more than a voice, one guitar, bass and drums allowed. They were a very close group of friends who had grown up together in Kentish Town but I never felt an outsider. Everyone at that point wanted some kind of transcendent music and we borrowed from wherever to achieve that. The music we began to play wasn't the sophisticated jazz that I had loved so much, but we borrowed simple soulful jazz themes that we could manage like Coltrane's Equinox for example and his exquisite India. And after the late Martin Stone joined we began a kind of meshed style of improvisation. I say meshed as it wasn't the rigid theme and improvisation of typical jazz group performances but a kind of blend of individual musical voices mixed with west coast influences like the Association and the Byrds. We would take well known songs like Bluebird from the Buffalo Springfield (a big influence on us) and turn them into driving electric numbers which really confused the existing Action mod audience but which I loved performing. There was extensive soloing, but not jamming. It was a kind of interplay in which no one really dominated like a conversation. Except of course Martin's raga style blues lines which were loud and also the phenomenal drumming of Roger Powell who in many ways was the engine of the band. And the humorist. We were unconsciously looking for a sound, a feeling, an elevated ecstatic musical feeling and getting there I think. When Reg King, the front man singer, left, we morphed almost immediately into a West Coast type of band with two voices singing songs but along with instrumental numbers like Coltrane's India. It usually began with a quiet drum pattern and flute and then just evolved in real time. It was an adventure. We never knew quite where this would take us but became quite a feature of our gigs. It had a shape but mostly it was just intuition and empathy. When you play with other musicians for a long period, (and none of us virtuosi), the band starts to lose its egotism. The reviews of the first quite wild Mighty Baby album in 1969 often used the phrase 'no egos'. In a crude kind of way that was true. The inner politics of the band just didn't allow for the kind of theatrical egotism of many performing music acts. No none took individual credit for the writing of a particular song. It didn't matter who introduced the original idea it was always communally credited. In fact it was hard to get anyone to get out front and sing or to even be spokesman. This could have been from either being too stoned or from some kind of snooty arrogance. I'm not sure. Both probably. My attitude to music changed dramatically over the many miles travelled, and the many gigs played. It had its ups and downs, but after a gig in Middle Earth in Covent Garden circa 1967 that we shared with the famous Byrds in one of their best incarnations, and the original Fairport Convention line up, we all witnessed the simple beauty of countrydelic American music. 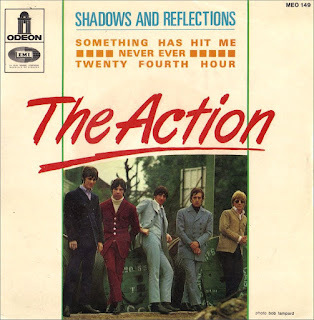 And that we weren't The Action any more. Small Fender amps, more country style songs (e.g. I'm from the Country from that first album - after all I was from the country) and bendy notes. This evolved into the kind of songs on Jug of Love which were imbued with bits of mysticism like Virgin Spring, the Happiest Man in the Carnival, Slipstreams which illustrated the path we had taken from Ouspensky, Gurdjieff, the I-Ching, right through to Rumi’s poetry and Islam itself. 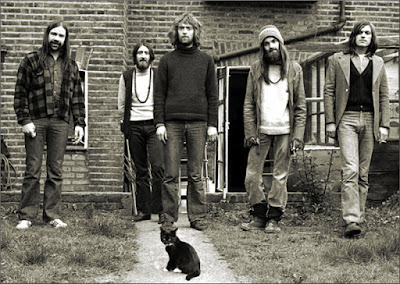 Martin Stone had pioneered the group's entry into the Moroccan Sufi brotherhood as he had secretly entered Islam in that period just before Jug of Love was recorded. The impact was seismic. 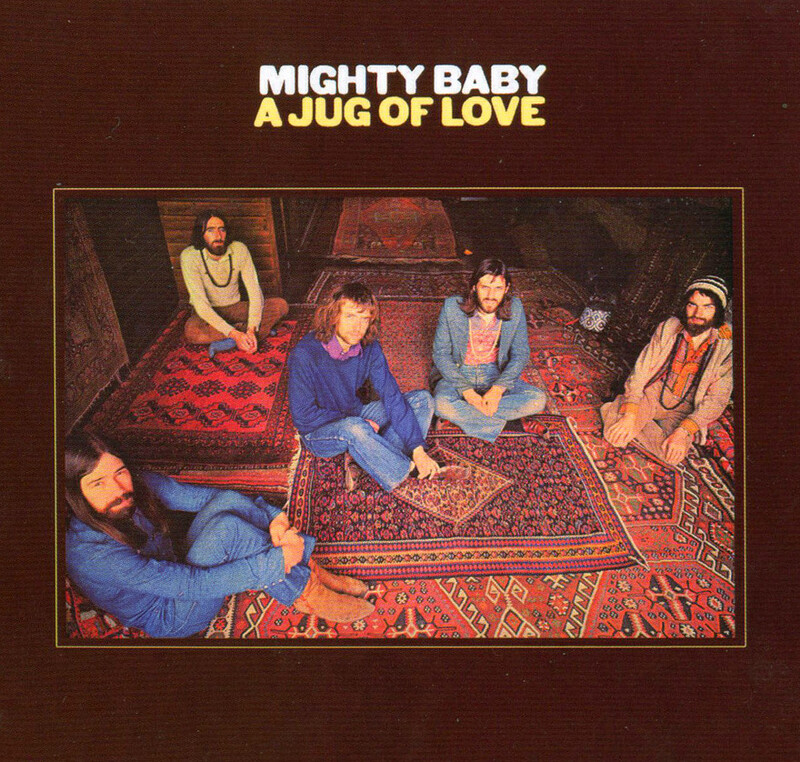 Jug of Love was not just about spiritual awakening in general. It was about our spiritual awakening. It would be true to say that Jug of Love was really pure folk music as it was in essence the story of our lives told in the only way we could. Each song had its story and meanings most of which were well beyond the comprehension of Blue Horizon, who were paying for the record. The record however did not reflect our live music at the time. It was a studio album and so was more reflective. The track Tasting the Life was about our travels around Britain and told the story of our trip to the Lindisfarne monastery where Polanski's film Cul-de-sac was filmed and the track Jugging was a throw away song about a roadie we had, but that track also well illustrated 'meshed' improvisation which in places I thought sounded like a cosmic Terry Riley piece. For me the album has a sadness to it as it was the swan song of a whole intense and formative period of our lives. But it just could not have lasted. BS: Without Islam and Sufism there would be no Jug of Love and no If Man But Knew. Tell us what attracted you to Islam and how you became involved with Ian Dallas and the Bristol Gardens Sufi zawiya. IW: This is a complex and detailed story to relate. Briefly, in late 1970, the late Martin Stone our cosmic wizard guitarist and our drummer Roger met with Ian Dallas for an interview for the International Times, a not very well known London anarchist rag. This led to a further meeting with Dallas and Martin and a secret trip to Morocco and Stone's entry into Islam at the hand of the venerable scholar and spiritual guide Muhammad Ibn Al-Habib in Meknes, Morocco who was over 100 at the time. To cut a long story short, both our drummer, our bassist and myself 'joined up' after much heart searching. Bam [Alan King] our other guitarist, refrained from joining but went on to form the rock group Ace that immediately shot to the number one singles spot in the UK and the USA for six weeks. 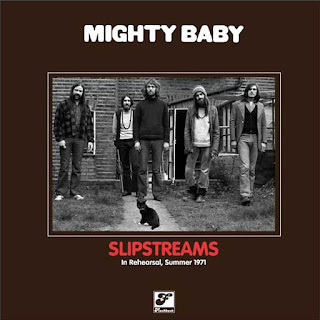 Mighty Baby continued through the summer of 1971 playing Glastonbury and The Isle of White festival along with Hendrix and others but after the first Ramadan in Morocco in 1971 and two weeks touring in Holland the band hit the buffers and broke up—but with no animosity. It just didn't play any more. We just couldn't keep it going. On my return to London I walked in the door of my £5 a week garden flat off Westbourne Grove (seen in the header photo) the phone was ringing with Chris Blackwell of Island Records inviting myself and Roger, our drummer, to go visit him. On offer was a recording contract, a modest advance to record whatever we wanted. But we had no idea what we wanted. Both of us had done much session work, particularly for Island artists John Martyn, Sandy Denny and the Fairports. John Martyn had wanted myself and Roger to join his band. So they must have dropped a few hints to Chris B. 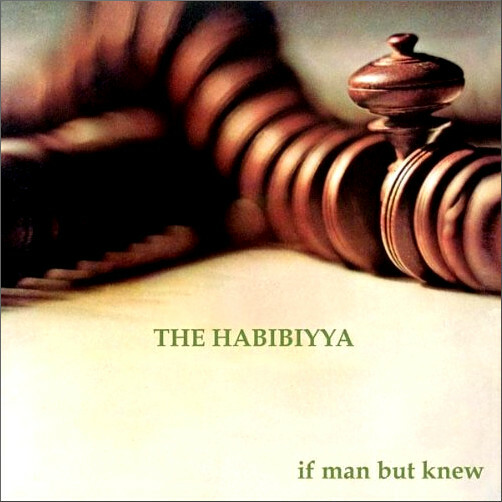 The result was the Habibiyya album, a mostly improvised album, not unrelated to how we used to play in Mighty Baby. But incorporating singing we had heard after one trip to Morocco. The recording was often utterly spontaneous but was preceded by as much as an hour of repeated Qur’anic invocations in Arabic...(we hoped it helped diminish our egos!). I read somewhere that we fasted three days beforehand. I don't remember that. As expected the results were pretty mixed, but sifting through it there were good bits which were used on the record. It was complicated by the fact that Ian Dallas interposed himself in the project and I think was dictating things. We were invited to do a tour of Europe but Dallas's shenanigans meant that key musicians were suddenly 'not available'. I think it would fair to say he broke it up. There are tracks on the album which I still like — mostly the instrumental tracks —which sounded almost scored, but which were absolutely not. The Arabic singing remains an embarrassment and I cringe when I hear it. It has little to do with authentic Andalusi singing. It might serve as a bridge, however, for those for whom the real thing is too arcane! BS: In my introduction I described Abdalqadir as-Sufi as a controversial figure. Did you find him controversial? IW: I think he was always controversial before and after Islam. That was part of his attraction circa 1970/71. He was 10-15 years older than most of the group (the greater Habibiyya that is) and had an educated charm and could certainly talk the talk and convinced us that we would change the world and that we were the selected few to do it! He was a great actor and in many ways the magician character in Fellini's film 8½ in which he plays Maurice the Mindreader. Fellini usually accurately typecast his actors. The drama of the film seemed to often replay in Dallas's subsequent life. The film was about the launch of a spacecraft that never actually happens and it ended with Maurice, Pied Piper-like, leading the cast on a dance around the film set. This presaged much of his projects in later life which were ambitious and radical but too often collapsed leaving people stranded and traumatised. Despite this his communities still survive in Norwich, Granada and Cape Town. But like him, they are strangely disconnected from mainstream Islam. The same could be said of his books which never appear in the bibliographies of the many books published in the Muslim world. He had real appeal at the outset but his latent anti-family Marxist outlook mixed with the destructive psychology of RD Laing began to tarnish his reputation. It's what happens when teachers set themselves up as guides without the authority, the knowledge and the necessary training. It's not just controversial, it's lethal. This is how I see it and it only comes from what I was witness to. Others may disagree. But in the period while the old shaykh was still alive, Ian Dallas was at his best and did his job well as the area organizer of the Habibiyya order. This is when he was able to explain to us what we needed to hear, coming out of the self taught mysticism of the late 60s and its confusion. He certainly had a knowledge of Islam, but from the beginning I had suspicions of his confrontational style and his wish to anathematise just about everyone from the Jews, the Church, the Freemasons to rival Sufi groups like those of the Nasqashabandis and the Mariyamiyya of Martin Lings who weren't with him. The community started to take on cult-like qualities. I believe now that when he embarked on his Murabitun World Movement project in 1978 he began to disavow Sufism and present himself as a political activist/agitator. I'm not sure what was behind this. It could have been disappointment with his spiritual journey or his love of, and extreme lack of, money. On the plus side I have to add, to be fair, that he brought to our attention and initiated many important translation projects and attracted many to Islam by his various initiatives. There were many good ideas but they always lacked consistency and continuity. Rushing on to the next big thing was his hallmark. He was a catalyst but not an exemplar. The 1970s was a difficult time in England economically and socially in general and the problems that beset that first community were not just of its own creation. BS: Ahmed Peerbux's documentary film Blessed are the Strangers has received considerable acclaim. 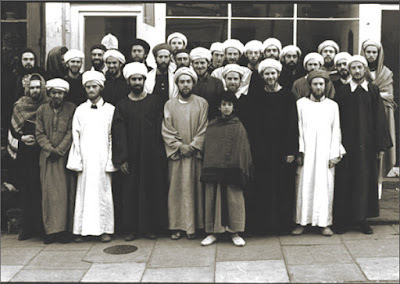 The followers of Abdalqadir as-Sufi were closely involved in its production, and the dhikr - remembrance of God - scene in it was shot at the Ihsan mosque in Norwich which is closely associated with the Murabitun movement. I believe you had some peripheral involvement in the film, but your view of Ian Dallas seems to be at the best ambivalent. So give us your take on Blessed are the Strangers. IW: I saw the first version of this film in which I was interviewed and was eager to help with at the time. Unfortunately I lost the link to this more developed version. But I did see the trailer which I'm afraid put me off wanting to watch it. I can only comment on the earlier version which I had hopes for: Ahmed Peerbux seemed to be an intelligent director who was asking the right questions. It is an interesting subject and a story that needs telling...but truthfully. Unfortunately and disappointingly this first film turned into a one-sided puff for the Murabitun (although not named) and Norwich and ignored the real story which is filled with successes and failures, rapid community growth followed by social collapse and distressing family break-ups. Life is light and shade, and the first film (and the second by all accounts) was a kind of whitewash which ignored the big picture and the difficult details. It was an attempt to create a sterilized version of the history that I remembered and had witnessed close up. I do hope the second version was better. At the root of it was a failure to confront the real story of Ian Dallas/Abdal Qadir as it was his genius that created the community but also by his doing that it split so viciously in the early 1980s and left so many people traumatized and in some cases leaving Islam altogether. Only by examining closely who he was, his writings, his scholarship (or lack of), his style of leadership, lifestyle and so on do you start to understand what really happened. No one dares go there or speak about it. Like an omertà. As I said earlier he was a catalyst and not an exemplar. There was good and there was bad. My inclination now is to leave it all be, as I don't think much will ever change. BS: Ian, If Man But Knew is clearly rooted in Sufism, the album used an eclectic selection of instruments including the koto, shakuhachi and mandola. It has been credited together with Brian Jones' almost contemporaneous but very different Pan Pipes at Joujouka as launching the World Music genre. How did If Man But Knew come about? IW: Myself and Roger Powell were contracted to produce an album without a clue of what we were to do. So we dabbled out of necessity and without knowing very much about where we were going. The two Californians [Susan and Conrad Archuletta] who had been playing on one of the Jug of Love tracks started to play with us and they were the ones who added the exotic instruments like the koto and homemade shakuhachis. We needed them. I think Ian Dallas put a lot of pressure on us one way and another. The dynamics and politics of this embryonic community affected us in different ways. There were some resentments and probably some envy as we had money, but we just had to ignore it. At least no one was saying we shouldn't do it. If Man But Knew has been described as the first World Music album but we had no preconceptions at all. It had a kind of chaotic inevitability about in that it just came out of our situation. I wanted more instrumental fusion using pianos etc but Dallas's pressure was unrelenting. I think we got what we wanted in the end but Ian Dallas was always edging in on things trying to influence. On the other hand without his influence it might not have had the same resonance. BS: Abdalqadir as-Sufi wrote the original liner essay for If Man But Knew, and his essay has been described on a forum as "hysterical mumble jumble pomposity". 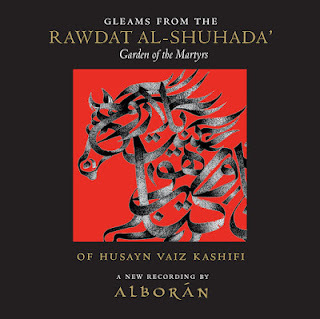 The 2007 Sunbeam Records reissue of the album dumped his liner notes and restored five tracks that were cut from the original LP release apparently at Abdalqadir as-Sufi's request. Why were the tracks omitted from the original release? IW: As I already explained nothing was planned and we just produced several hours of music which then needed drastic editing. What finally appeared on the album we must have had some consensus about. There obviously wasn't room for it all. But in true Mighty Baby fashion nobody was really pushing too hard. As far as the the liner notes went it would have been hard to re-use anything written by Ian Dallas as no one remaining in the group had time for him any more. Yes the notes were a bit pompous. That was his style. BS: In my introduction I mentioned that decades after its release If Man But Knew achieved a kind of iconic status. What is your reaction to that retrospective accolade? IW: Somewhat puzzled as I'm too critical of it myself. I know it was used for sampling by DJs in the US but I've never heard examples of such things. I think deep down one had secret hopes it would sell, but knowing at the same that it would never sell in a month of Sundays. It's an oddity as it's not classical Andalusi music. I have been approached at times to reform the group for festival appearances. But it was impossible to recreate that moment in time. One of the group has since died, the two Californians had divorced. It would need the right combination of musicians living in proximity with the motivation. It just isn't going to happen. The world has changed. BS: Ian, let's move on from If Man But Knew. I mentioned that you have contributed to several recent recordings of Islamic sacred music. Tell us how they came about. IW: You must be referring to the Tim Winter [Shaykh Abdal Hakim Murad] recordings. Rawdhat ash-Shuhada’ was really his project and it took some courage on his part to produce it. I was really just a hired voice. I'd never done anything quite like it though I’m familiar with the musical ideas he has been developing for the last few decades. I had to sing a cappela some verses in English to a Celtic tune which I was to learn off YouTube! The five singers had one day of rehearsal and the next day to record it. It was certainly unusual. I managed my piece in one or two takes. The most effective thing on the album is Ali Keeler’s Qur'an recitation in a Celtic musical mode. Quite beautiful I thought. The way to go. I think this kind of recording is for a very specialized audience. The other project was Tim's Andalusian Sufi Songs album in which I sung but in which I was suffering from bronchitis at the time and could barely sing. I think the material sung in Spanish is very innovative. I still need to hear the final mix. Apart from the singing of qasidas - Andalusian Arabic spiritual poetry - as a private practice, my own creative musical directions are in a more universal music which can resonate outside the Muslim world maybe taking some its ideas along with it. Yusuf Islam, who I have worked with in the past has taken this line as well. I understand why. The burgeoning Muslim music market place has also created for itself a kind of dumbed-down commercial style which is in my opinion isolated itself in a cultural bubble. BS: You say that you worked with Yusuf Islam, who of course had a stellar career as Cat Stevens. Tell us about working with him. IW: I didn't know him as Cat Stevens in the 1960s though I used to work often in studios with bassist Pat Donaldson and drummer Gerry Conway who played regularly with him. I did meet him in the 1980s when he appeared as Yusuf Islam in London and slowly moved into the Muslim community. He entered Islam with some pretty strict Muslims who put him off playing any music for around twenty years. I did some graphic work for him when he started Muslim Aid in the 1980s but not until he created Mountain of Light did we start anything serious. We developed things like logos, ads and a string of books. I had learnt a lot working for the Islamic Texts Society in Cambridge about book design and this I put into practice with Mountain of Light as best I could. 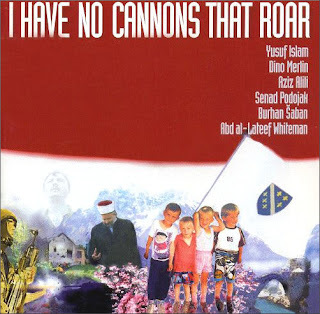 We got into CD packaging and finally into recording when he conceived the Bosnian album in 1997 which became I Have No Cannons that Roar. 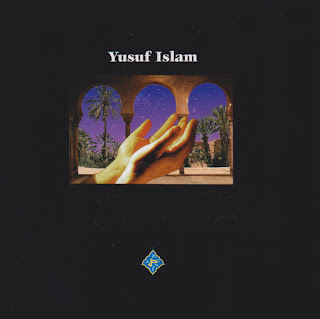 [Ian's contribution to this album as Abd al-Lateef Whiteman can be heard via this link, and the artwork for Yusuf Islam's Prayers of the Last prophet album seen above is by Ian.] That was a kind of watershed for me and Yusuf, as he was gingerly testing the waters of music once again. For me it was creating difficult music in the public eye once again after doing little for 20 years. I didn't suffer too much from the effects of Yusuf's fame as I was out of the music world when records like Tea for the Tillerman became so well known. So I knew him more just as Yusuf, the bloke, and I knew very little about his songs apart from the really old hits like Matthew and Son and I Love my Dog which were from a long forgotten world. Some people found him difficult to work with, but like me he was a perfectionist and liked to control the details. Most of all he is an artist and very gifted at writing lyrics and turning them into songs. He always had ideas and the financial clout to realise them, good or bad. I often saw him relaxed and talking about old music stars he knew. To me he was someone who needed help and honest counsel, not bowing and scraping to. For him it was a slow and painful process of breaking this idol of who he feared he had become and returning to natural life..... all along I think he was dying to pick up his guitar again but was too nervous of those who wanted him to be something they wanted him to be. The curse of fame and position alas. I met with him last about 10 years ago at his wedding anniversary at which he told me a lot about the 12 string guitar his wife had ordered specially made for him by the Martin company of Pennsylvania. At the time I wondered what it all meant. I learnt a lot working with him and got to really appreciate him and his enormous talent. I do hope our paths cross again. BS: Islam continues to dominate the news, and too often for the wrong reasons. Your personal faith seems to embrace a fairly open-minded interpretation of the faith. How do you view fundamentalist interpretations? IW: I'm no scholar and it's a big subject. From what I know, the Khawarij, literally ‘the ones who left’, or fundamentalists if you like, have been there from the beginning and the Prophet himself strongly warned of them. It's a phenomena that has beset all faiths when its adherents follow the word but not the spirit of the teaching and always with dire and fatal results. For six centuries the Ottomans kept theses Kharijites mostly in check, locked up in the Eastern deserts, the Najd, but the British used them to help create the Arab uprising and the Saudi monarchy in order to destroy the Ottoman Empire—for its own economic ends but bringing on themselves a curse that would last for generations. The present Wahabi movement dates from around 200 years ago which was a revival of the original Kharijite impulse. They emerged from the desert at that time and wrought havoc across the Arabian peninsular killing all who disagreed with them and destroying sacred sites wherever they went. The present regime are their heirs, no matter how much they deny it, and they are supported by the perfidious British who support them uncritically with their arms sales and oil purchases. Wiping out Isis militarily is a part solution but the ideology and their perversion of a true religion remains. That’s how I understand it. BS: Ian, let's end by returning to the music. You've been involved in the music industry for half a century. What is your take on today's music industry? IW: My connection with the music business right now is zero apart from small royalties that come in now and then. I'm at a loss to know where one fits into all the genres and the marketing madness that surrounds it all. I do wonder if it’s worth putting out music anymore even though I am still compulsively writing and recording music and have been for the last 30-40 years. Right now as of a July 2017 I'm considering just releasing music that I've made in my garden shed, warts and all, with the sound of birds singing and water flowing in the background. But after so long I just don’t know if the music is any good. Even though I can record a whole album myself I know that the alchemy of a group of musicians is always going to be better. But my computer allows me to make music rather like an author writes a book. Why not? An author isn't expected to read his writing in public although some do. I know my way round synthetic music but I mostly prefer to use actual instruments as they just sound better. If I could squeeze a grand piano into my shed I would, as long as it was a Bosendorfer. I spent years sourcing the best sampled piano sounds I could find and I’m happy I don't have to deal with tuning a real piano all the time. Ironically I think when I record drum or bass tracks I'm subconsciously playing how my fellow Mighty Baby companions use to play as I knew their art so well. Singing is still at the centre of the whole music experience but I've never thought of myself as a solo singer, but I’m learning. BS: In his infamously opaque essay for the first LP release of If Man But Knew, Ian Dallas described how Sufism is a journey along a spiritual path and went on to describe the album as "music for travelling". Ian, you have combined travelling along the Sufi path with a similarly inspiring musical journey. Many thanks for sharing your rich experiences with us. * Liner note by David Biasotti for the 2007 Sunbeam Records CD transfer of If Man But Knew. Photo credits: Photos 1, 2 & 4 Peter Sanders; photo 3 Nostalgia Central. Another fascinating post, pli. I met a shaykh ( fadlallaha Haeri) around Notting Hill once ( and in Watford as well). Amazing experiences! I think he was influenced by abdalqadir. Although I'm not a Shia ( actually closer to wahabis!) the shaykh was the most religious person I've ever met. Even now I'm re- reding one of his books as it happens. I'll never forget sitting next to him ( even though that's against the required etiquette) and everyone telling me to sit at his feet. He didn't mind at all and insisted that I sit next to him. Sorry, haven't got anything to say on the music but, as always, I'm inspired to now seek out these albums. Thank you! Publication of this post has triggered some frantic activity off camera followed by the sound of doors being firmly slammed shut. Those seeking justification for my description of Abdalqadir as-Sufi/Ian Dallas as 'controversial' are referred as a starting point to the Telegraph article linked below. Although the Telegraph is not noted for its independent viewpoint, the arguably controversial statements made by Abdalqadir as-Sufi quoted in it can be verified by cross-referencing them to his copious and often conveniently obscure writings. I still reread "The Book of Strangers", but as I looked around something never felt right about the whole circus that was the outcome. I've seen these results in many other so called spiritual groups and was hoping for a change. Thank you for the clarity of this post, and yes K knew what he was talking about, but again it didn't change the crowd around him. It never does! But I take his advice regardless and keep moving along at my own pace.